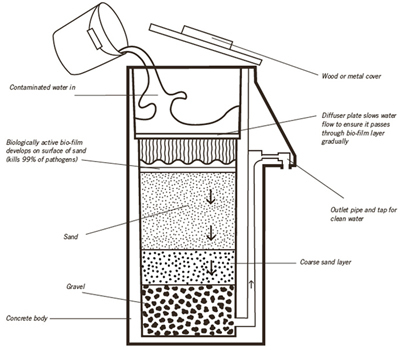 A biosand water filters comprises of a concrete shell filled with layers of sand and gravel. 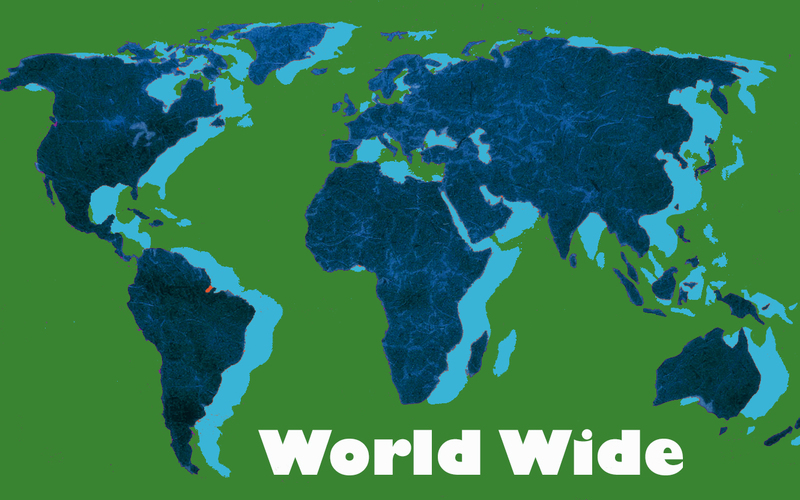 A completed water filter weighs approximately 400 lbs. An advantage to being so heavy is that they are permanent fixtures of a home and will not be stolen or removed. Biosand water filters remove contaminants from river water, leaving pure, safe drinking water. No electricity or source of running water is required. The filters last for approximately 20 years, during which time there are no maintenance costs. A bucket or jug of water is poured into the reservoir at the top of the filter. The water is then filtered through specific layers of sand and gravel that includes a biologically active layer that removes 99% of pathogens. The water then trickles out of a pipe under which the clean water is collected for use.